R&R Components representatives and designers are available to help you with all of your engineered lumber needs. 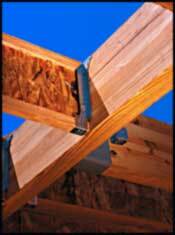 R&R Components is a distributor of BlueLinx BLI I-joist, LVL’s, Rim-board, and AFL. Engineered lumber and joists are rapidly becoming the product of choice for architects, engineers, and contractors. Because the product is manufactured, it is free from normal lumber defects such as knots, wanes, bows, twists, and shakes. The advantage to the customer is a product that is predictable, straight and free from defects every time. Engineered lumber also provides strength advantages over traditional lumber, and typically can span further and carry more load than traditional wood building products. 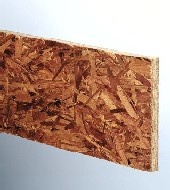 AFL “Advanced Framing Lumber” in depths of 9 ¼” and greater can be used in floor assemblies that would otherwise require a protective covering or sprinkler system per the 2012 IRC (R501.3) Not to mention, it’s a great engineered alternative to dimension lumber in roof, ceiling, wall and truss chord applications. Regardless if your needs are for a single beam or an entire floor system, allow R&R Components to provide you with all your engineered lumber needs. All quotes are free of charge. Advanced design combines with a manufacturing process that uses heat and pressure to create virtually defect-free engineered lumber capable of supporting heavy loads over long spans. Wood I Beam joists can accommodate the open spaces and high ceilings today's market demands while allowing the use of wider on-center spacing saving material and time. Engineered lumber resists shrinking, crowning, twisting and warping - which means quieter floors and fewer callbacks. 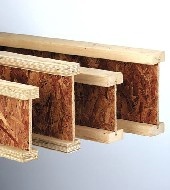 Wood I-Joists provide a cost-effective alternative to dimension lumber for floors and roofs in residential applications and offer greater load-carrying capacity with longer spans than ordinary lumber. Laminated veneer lumber (LVL) beams and headers combine the best qualities of natural wood with the strength and reliability found in engineered lumber. AFL Advanced Framing Lumber (AFL). 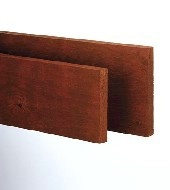 AFL is similar to solid sawn lumber but with higher design values. It takes all of the positive attributes of wood and improves upon them. The first thing you’ll notice is its wane-free appearance on all four edges and that significant defects have been removed during manufacturing. This is accomplished through a unique patented process in which dense 2×4 and 2×6 Black Spruce lumber is analyzed with both an optical scanner and optimization software to remove natural flaws. Edges are profiled with individual pieces laminated together into panels that are cut to widths ranging from 3 1/2″ to 16″. Finger-jointing the ends allows for long lengths up to 32′. 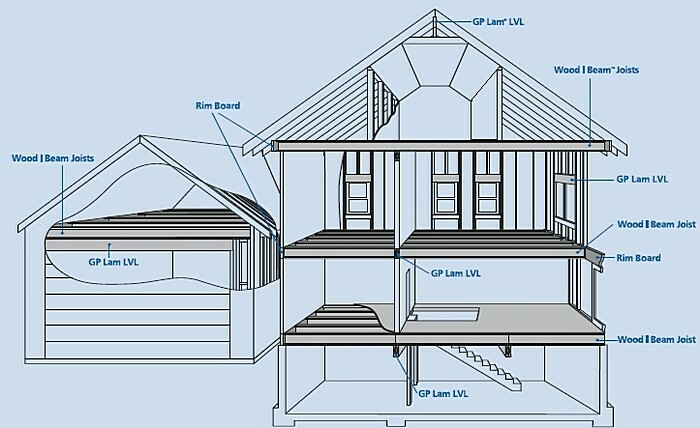 Structural applications include wall studs, roof rafters, floor joists, and truss chord stock. Fiberstrong Rim Board provides complete closure, vertical load transfer and accepts bolts for deck installation. We also stock a complete selection of hangers for every design application.